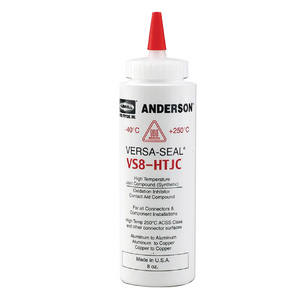 Anderson Versa-Seal® High Temperature Joint Compound with conductive grit, 8 oz bottle. Anderson Versa-Seal® High Temperature Joint Compound, non-gritted, 1 qt can. Anderson Versa-Seal® High Temperature Joint Compound, non-gritted, 4 oz bottle. Anderson Versa-Seal® High Temperature Joint Compound, non-gritted, 8 oz bottle. 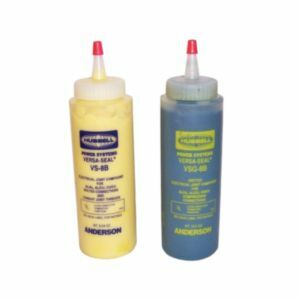 Anderson Versa-Seal® Joint Compound with conductive grit, 8 oz bottle. Anderson Versa-Seal® Joint Compound, non-gritted, 8 oz bottle.